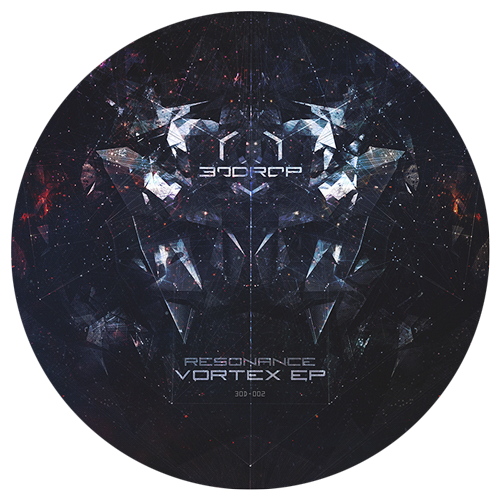 30drop deepens in the mystique of Sacred Geometry with its second release, Vortex Resonance EP. Based on the theoretical and intentional, but not formal, Techno foundational precepts, a deliberately contemporary stylistic overdevelopment is build. This time, we find four cuts that highlight the rhythm in view if the Space dance floor. Beating pulses are interwoven with cosmic atmospheres to travel beyond our planetary borders. Ángel Molina I’ve already tested 'Soft Geometry', and the public reaction has always been wild. Also into 'Pulse'. Lovely Detroit stuff made in Barcelona. Thanks! Annie Hall The best. Thanks. Answer Code Request Pulse for me! Arnaud Le Texier Galaxy Pattern & Paradox for me! Thx. The Black Dog On it. Bruno Sacco Paradox for me! Killer release. CJW Like a lot!!! reminds of Red Planet series. Excellent stuff. Developer Release is dope!! Thanks. Dispar Vulgo Out of the box, i like it, will get play time for sure! Drumcell Galaxy Pattern!!! Good stuff! Eric Cloutier “Galaxy Pattern" is a really nice one. My pick of the bunch. Etapp Kyle Interesting release. Thanks. Dj Fra Awesome! Full support. HD Substance Mills style space deepness, will try for sure. I/Y Nice atmospheres on this one, will give these a spin! John Osborn Like this release a lot! Lee Holman I like Soft Geometry most from this. Nice mix of oldskool, deepness and pumping. Pulse and Paradox also cool. Patrik Skoog Paradox and Pulse sound great, do itttt! Robert Lamar Another big release from 30drop. Thx. Samuel L. Session Good scif-fi stuff - Classic. Samuli Kemppi Pulse is a killer track! Dj Shiva This is some proper Detroit space techno shizz. Pulse is killer. Sleeparchive Galaxy Pattern and Pulse are my favorites. Thank you. Stacey Pullen Cool. Will try. Thanks. Xhin Pulse is great. Thanks!